THE 2019 General Elections are already at hand with the Presidential and National assembly elections slated for the 16th of February 2019; while the Governorship and State Assembly elections are scheduled for the 2nd of March. In Nigeria there is a popular saying that goes “politics is a dirty game” but this can become a self-fulfilling prophesy. In the dailies we encounter news stories of distasteful tactics through which political aspirants try to win votes for themselves, but we rarely spare a thought as to how we encourage this behaviour, albeit unknowingly. We need to recognize that government is an inclusive concept and every citizen has a role to play. So, as we march on toward Election Day I have outlined the key issues that require personal reflection and which need to be addressed if we truly want to reap the benefits of the democratic process. Accountability Lab Nigeria stands for integrity in all aspects of public service, and is wholly committed to a free and fair electoral process through which everyone’s voices are heard. Merit is the most important aspect of the electoral process, both in terms of the choice of candidates and individuals overseeing the elections themselves. As a scientist, I would like to cite the human body as an example of just how important this is. Every systemic process in the human body depends on the effective functioning of a set of organs. If a single organ fails to perform its duties efficiently, there is a cascade that affects the entire body negatively. This explains many of the administrative problems the nation faces today. In the private sector, employers always try to acquire the best and brightest individuals for their companies to ensure the highest quality service and maximize profit. This is a quality that should be emulated in the elections; as citizens we should take steps to ensure the most worthy candidates are considered for public service, to improve the quality of said service. Meritocracy plays a huge role at Accountability Lab as well. In our Integrity Idol program for example, a variety of processes are conducted to ensure that the selected Idols are worthy and will worth with integrity over the long-term. There is an extensive national nomination process, background checks are carried out on all of the candidates and independent judges make final selections before the public vote. Meanwhile, personal interviews are conducted, all to ensure the efficiency of the system. There is currently a disturbing trend of citizens boldly declaring their refusal to take part in the electoral process. Many of them lament that their votes will not count, the results will be manipulated and the process is a waste of time. Some individuals have already taken to predicting election winners based on their ability to steal the elections rather than on the desires of the citizens. They actively encourage others not to vote as well. Ironically, some of these individuals prove to be the most passionate about the electoral process and results. Voter Apathy is a big hindrance to the success of any electoral exercise. Not only will the will of the citizenry be improperly represented, it deprives the process of proper scrutiny. With the advent of the card reader, social media and other technologies, it has become easier to understand how fair the elections are in real time. Election results can and are contested in the courts and are closely monitored by independent local and international organizations. It is important as a citizen to ensure that you do your best to ensure a proper election process in Nigeria. 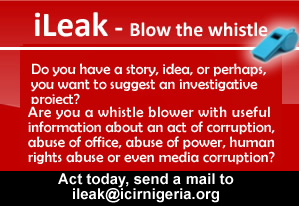 You are also in the best position to report any strange happenings or malpractice occurring at your polling unit. The Independent National Electoral Commission (INEC) has also made it public that voters cards are ready for collection and registered citizens can easily check their voter status and Permanent Voters Card (PVC) collection centers on the INEC website. The more people declare their interest in the exercise, the less room there will be for manipulation. For every vote buyer there is a seller. Unfortunately, the high level of poverty and lack of awareness in our country has coerced many into voluntarily selling their votes for negligible fees. Many of such individuals express a lack of trust in the electoral system and would rather sell their votes for profit rather than hope for any improvement in their standard of living. By selling your vote, not only will you be encouraging negligence in government, but you will also be exposing questionable characters to public funds. The culture of gifting votes to the highest bidder is ultimately detrimental to the welfare of citizens in the long run. It therefore behooves on you as a citizen to actively push back against vote trading. There is usually tension surrounding general elections as voting centers feature party faithfuls and loyalists who are constantly on the alert to avoid being cheated by their political opponents. Sometimes such situations escalate into violence or the theft of ballot boxes. Also, some individuals use fearmongering as a tactic to win votes or discourage voters from exercising their rights. As a citizen, it is important that you do your part to ensure a peaceful and transparent exercise. Show patience and tolerance to each other especially at the polling units. Refrain from escalating tense situations and let issues be sorted out logically and fairly. To those that will be giving out reports on the state of the elections in their area, it is important that you give an accurate representation of the situation, so as not to escalate issues in other areas. Unity is the highest determinant of peaceful co-existence among any group of people. As a nation we should be united across ethnic and religious lines but these divisions often halt the progress of national activities, including elections. We need to foster a spirit of brotherhood among one another, devoid of sentiment. There are many countries with populations of people of diverse cultures and yet they manage to make it work.